Executive Chef at Azure, Christo Pretorius serves what he describes as “local, modern, seasonal South African cuisine with a twist of French and Asian in uence.” Named Red Carnation Hotel’s Chef of the Year 2013/2014, under his leadership Azure has become one of the most respected restaurants in the country. Christo started his career in food when he volunteered to cover for a sick chef while working as a waiter at a holiday resort in Suffolk in the UK. His natural talent for cooking soon made itself known and he moved from trainee Commis Chef to Junior Chef de Partie in just six months. 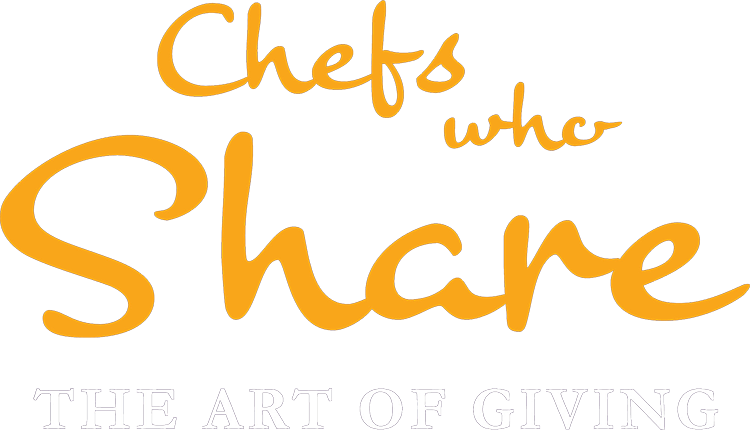 In 2007 he returned to South Africa and completed his chef and pastry diplomas at the 1000 Hills Chef School in Durban – passing both with distinction. Since then he’s held a senior position at Silver Hill Lodge in the Drakensberg, worked luxury yachts in Florida, been the Bistro Chef at The Plettenberg, a ve-star Relais & Châteaux property in Plettenberg Bay, and Sous Chef at Cape Royale Hotel’s Bistro 1800°. His wide experience culminated in his current position at Azure, where he initially apprenticed under former Executive Chef Henrico Grobbelaar. Christo placed second in the prestigious Sunday Times Young Chef of the Year competition in 2012, was a regional nalist in the Unilever Food Solutions Senior Chef of the Year in both 2011 and 2012, won Unilever Food Solutions Junior Chef of the Year in 2010, and was placed second at the 2010 Goldcrest Young Chef of the Year Competition. French chef Vincent Rodier began his career in food in the kitchens of central France. From there he moved to Switzerland, where in 2005 he joined Four Seasons Hotels and Resorts, working rst as Chef de Partie in Geneva and then as Sous Chef in Bora Bora in French Polynesia. He returned to France in 2010, where he applied his talents in some of the great culinary establishments of Paris. He was Sous Chef Cuisine at Potel & Chabot before moving on to the position of Chef de Partie at the legendary Four Seasons George V Hotel off the Champs Élysees. 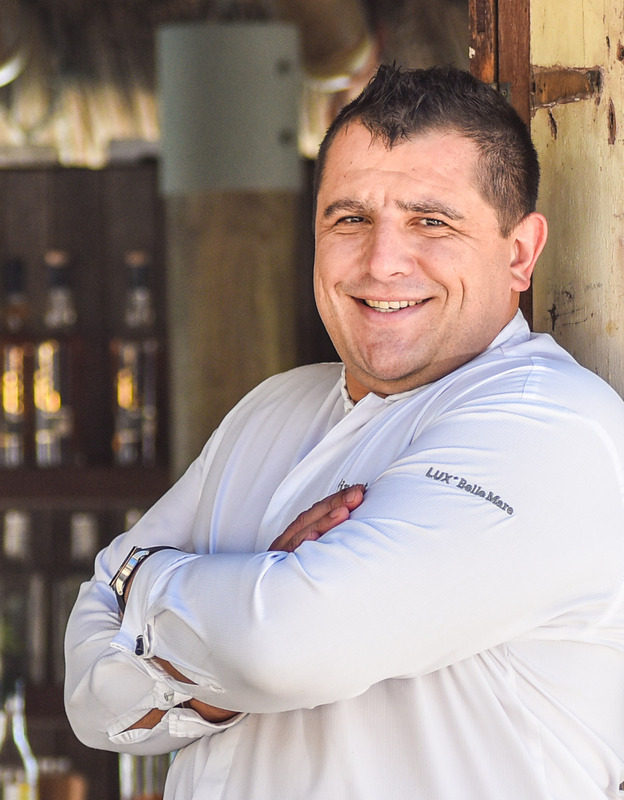 In 2013, he packed his bags for Mauritius, where he now serves as Executive Chef at Lux* Belle Mare. With no less than 10 food and beverage outlets, the award-winning resort has earned a reputation as a luxury foodie paradise. Beach Rouge, with its relaxed French Riviera feel, is one of the premier dining experiences on the island. Here local, fresh-from-the-sea produce shines in Vincent’s kitchen and he whips up tantalising feasts of the island’s best seasonal fare. Gregory Mutambe was born in Zimbabwe’s Eastern Highlands in 1984 and was originally meant to become an accountant like his father. While tutoring maths on a part-time basis, Gregory was offered a job at the Mukuyu Winery in Zimbabwe’s Mashonaland East region. He accepted and the rest, as they say, is history. 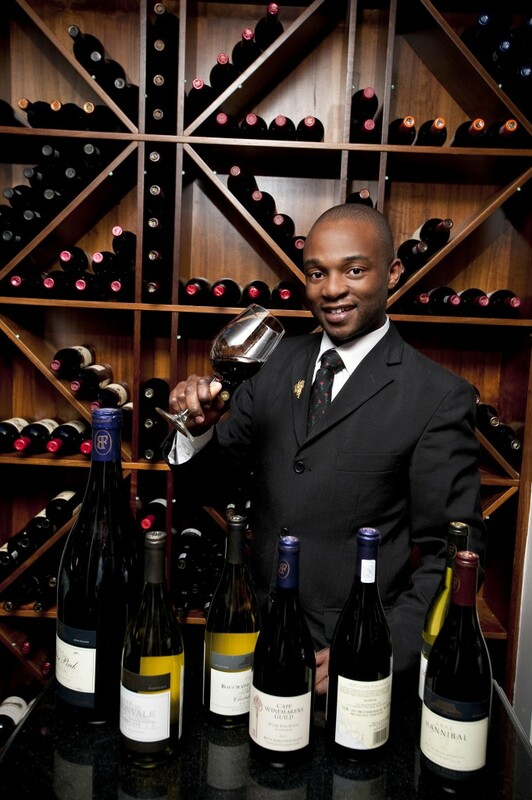 He moved to South Africa to pursue his dream of developing a career in the wine industry, graduating with a Diploma in Wine from the Cape Wine Academy in Gauteng. 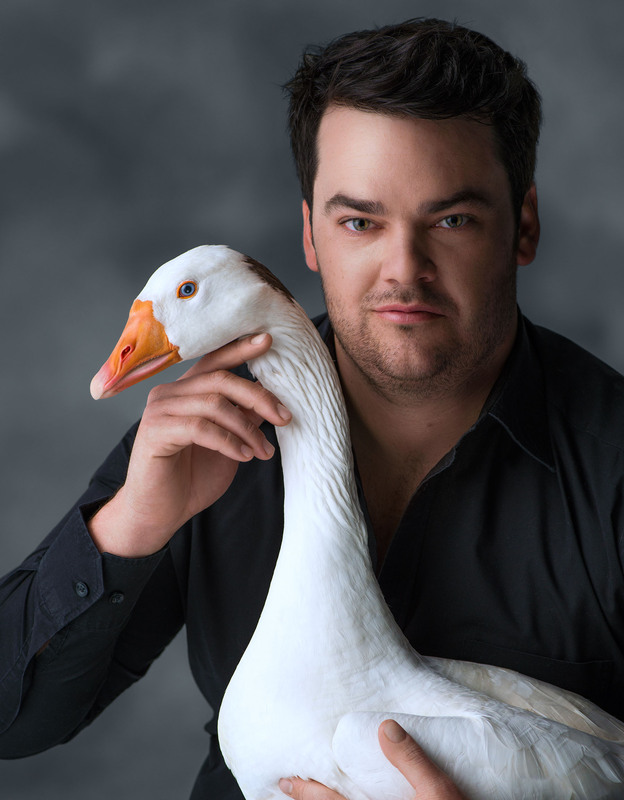 In May 2010 Gregory moved to Cape Town where he worked as a sommelier at the Vineyard Hotel in Newlands for a year before moving to The Twelve Apostles where he serves as Head Sommelier. He is considered one of South Africa’s most talented wine connoisseurs and is a sought-after wine selection panellist for SAA, Platter’s Wine Guide and the annual Nederburg Auction.